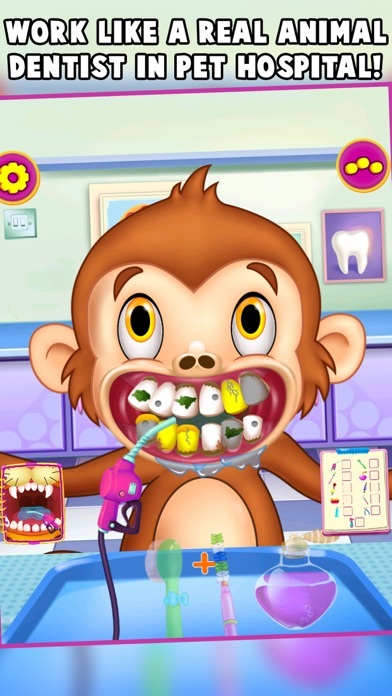 Home » Games » Crazy Animals Dentist! A game for all the animal lovers! 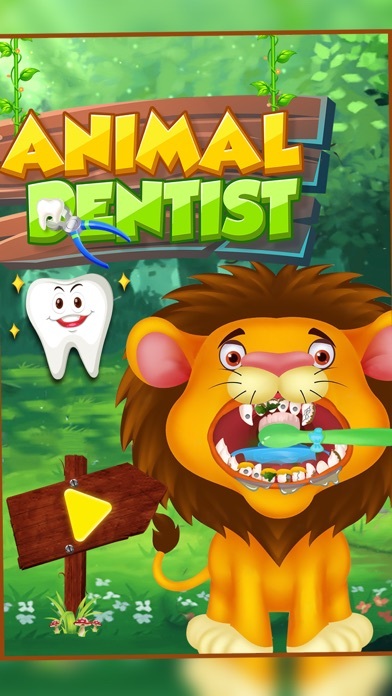 Animal Dentist is free game to get ready to experience the real world of dentist clinic. Can you help these zoo animals to clean their teeth? Treat these animals with a set of all dental treatments and best Dentist Clinic. Use all instruments and take care of the animals in this Vet Clinic. Destroy the bacteria with lasers, pluck bad teeth, remove dirt, and many more activities. Make the crying animals happy again. Be a super cool dentist to treat their teeth well. 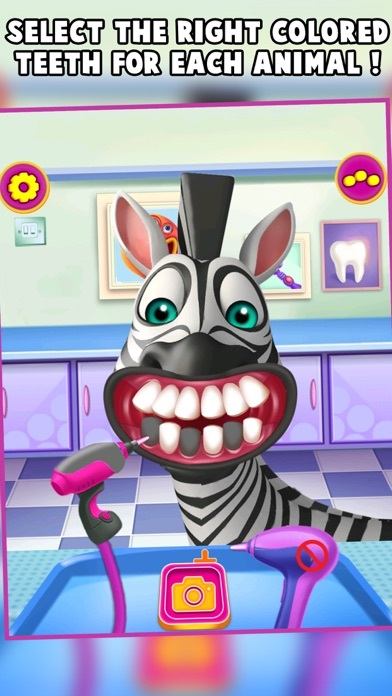 Features - Choose from monkey, lion, and zebra - Perform dental treatments with various vet clinic tools - Color and add Tattoo to their teeth with colourful stickers - After repairing the teeth, clean them to be shiny and sparkling! 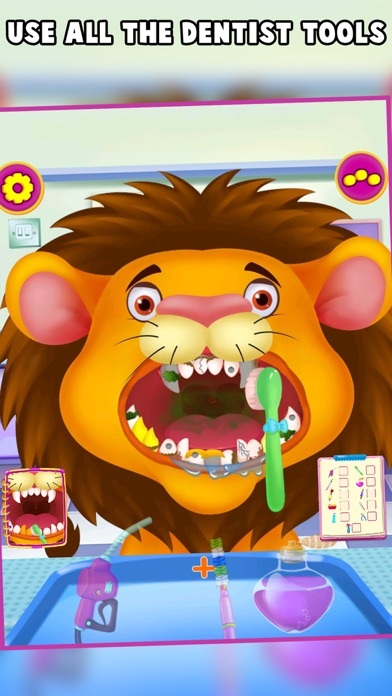 - Kids friendly game play Become an animal dentist, and cure these jungle animals teeth. Play with the tools of a real veterinary dentist. Experience every dental activities like teeth drilling, teeth cleaning, Dental filling, tooth extracting and more. 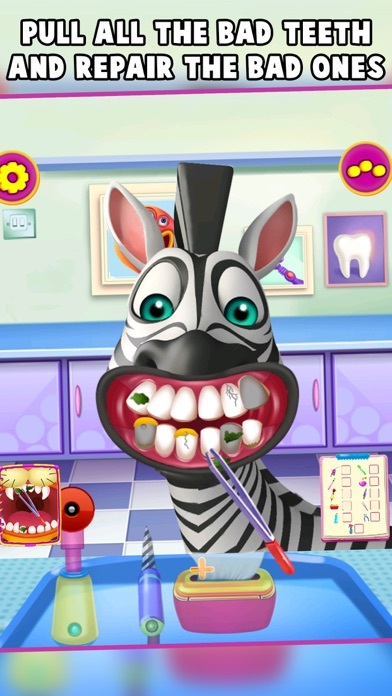 Use the dentist tools to treat your little animal patients in the Pet Vet Clinic. You can use all instruments and take care of the zoo animals. Be the best animal dentist at this Vet Dentist Clinic !